Traditional European techniques, a starter that is said to be over 400 years old, and a leavening process that lasts more than 24 hours gives these crusty, hearth baked breads their rich tangy flavors and unique textures. The highest quality grains and flours, pure West Virginia water and sea salt are combined to make this real artisan bread. 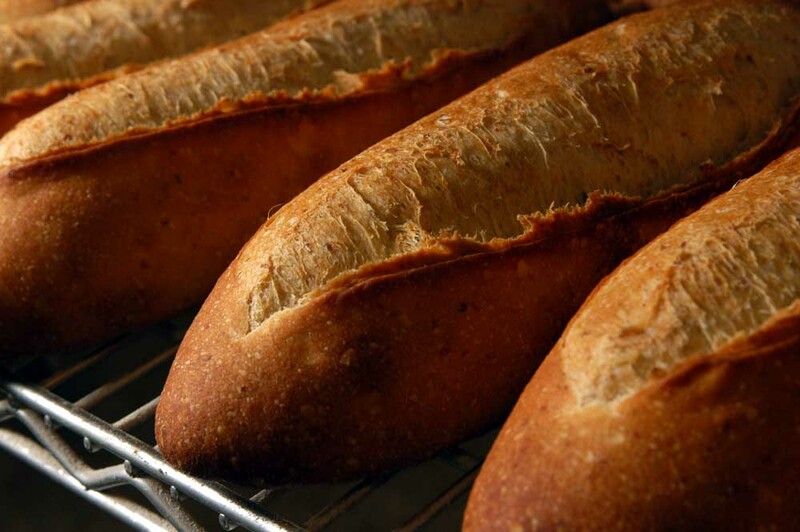 Each bread is hand shaped and loaded onto the hearth of a French oven. The naturally leavened, fat-free breads are made without commercial yeast hence they are especially nutritious and easily digestible.